Will I be able to deduct Canadian family law child support payments? Unless you are paying child support in Canada under an order made before May 1, 1997, the amount you pay in child support will not be deductible. Do I have to pay taxes on child support payments I receive? Unless you are receiving child support under an order made before May 1, 1997, you do not have to pay taxes on child support payments you receive. How does tax work with spousal support? The spouse who pays spousal support can deduct the support; the spouse who receives support under Canadian family law pays taxes on that amount. Are family law legal fees related to my divorce tax-deductible in Canada? 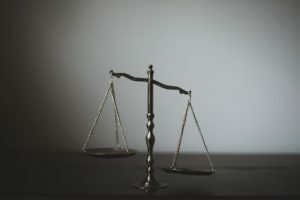 This is a very complicated area of tax and Canadian family law; if you think it will benefit you to deduct legal expenses, you probably want to get help from a lawyer. In general, the answer is no. However, there are many cases in which your legal fees may be tax deductible. In general, family law legal fees are deductible if they are legal fees for obtaining child support, obtaining spousal support, increasing the amount of child support or spousal support, to make child support non-taxable under the Child Support Guidelines, to enforce an existing order or agreement to collect late child support or spousal support, to resist the payor’s attempt to reduce child support or spousal support. Who gets the Canada Child Tax Benefit? To claim the Canada Child Tax Benefit, you must be the person mainly responsible for the care and upbringing of the child and you must live with the child. If you and your spouse share joint custody, the benefit goes to the child’s primary caretaker. In cases where parents share time equally, they can opt to share the benefit. Will I have to pay taxes on payments made as part of a division of property? Generally, the division of property under Canadian family law has no effect on your taxes, and money you receive as an equalization payment is not taxable. However, you may be responsible for future capital gains taxes when you sell property in the future. Can I protect myself against paying more in taxes when I separate? There are several steps you can take to ensure that you don’t pay more than necessary in taxes. If your family home is transferred to just one spouse, make sure that its status as a principal residence is maintained. Make sure that you and your ex-spouse take full advantage of the Canada Child Tax Benefit. In addition, if you are separated or divorced and receive child support, you are entitled to claim the “equivalent to spouse” credit on your tax return.